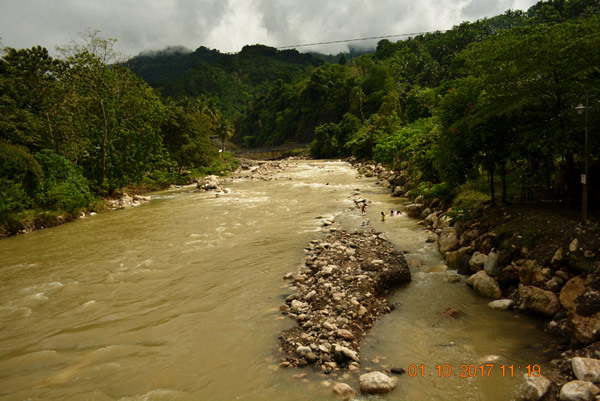 From January 5, 2017, concessionaires of the Butuan City Water District (BCWD) experienced low water pressure while some were waterless due to the heavy rainfall at the Taguibo River Watershed Forest Reserve where the major source of BCWD’s water supply is located. This is brought about by Tropical Depression Auring. The continuous rain has greatly affected the quality of the Taguibo River which recorded its highest turbidity level reaching more than 1,000 Nephelometric Turbidity Unit (NTU). The status of the Taguibo River was aggravated much further with the occurrence of landslide in one of the tributary creeks of the Taguibo River causing the turbidity level of the river to take a much longer time to lower down despite having little rain to no rain a couple of days after Tropical Depression Auring. To augment the minimal supply of water, BCWD operated the five (5) production wells during the same period. However, the volume of water produced by the five (5) production wells is not enough to supply the demand of the City thus causing some areas to become waterless while those areas with water have low pressure. As an alternative solution to be able to provide uninterrupted water supply and while waiting for the completion of the PPP Project, BCWD conducts scheduled distribution of water through rationing using water tanks. 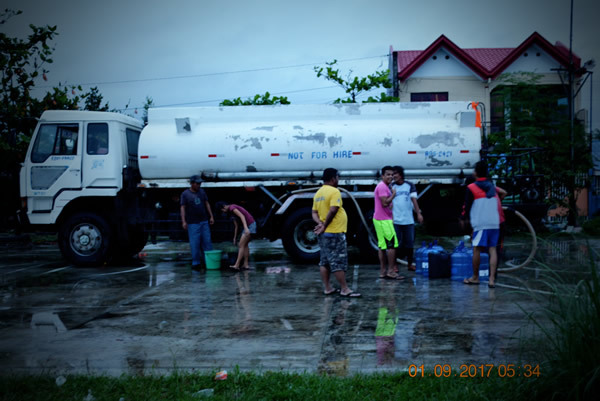 The water rationing is conducted to be able to provide immediate water supply as a response to the demand of the concessionaires especially those at the remote barangays. Through the water rationing, BCWD is able to distribute properly the limited supply of water to its concessionaires.